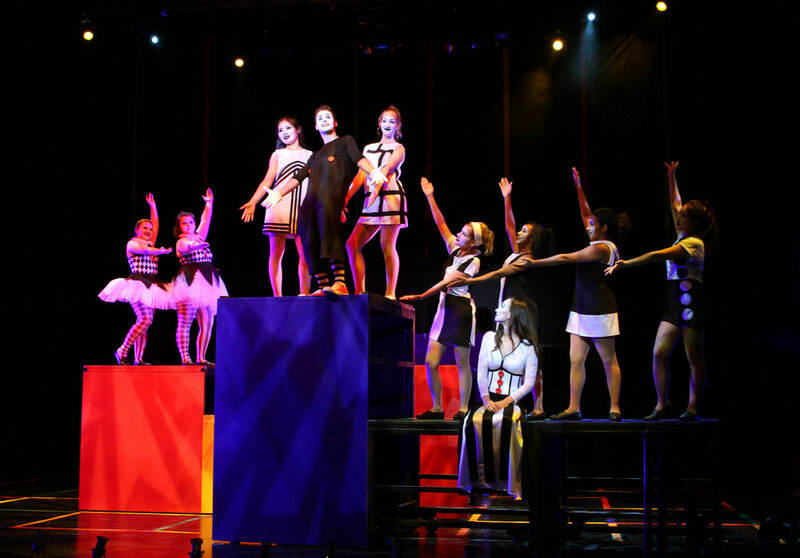 Stop the World - I Want to Get Off! 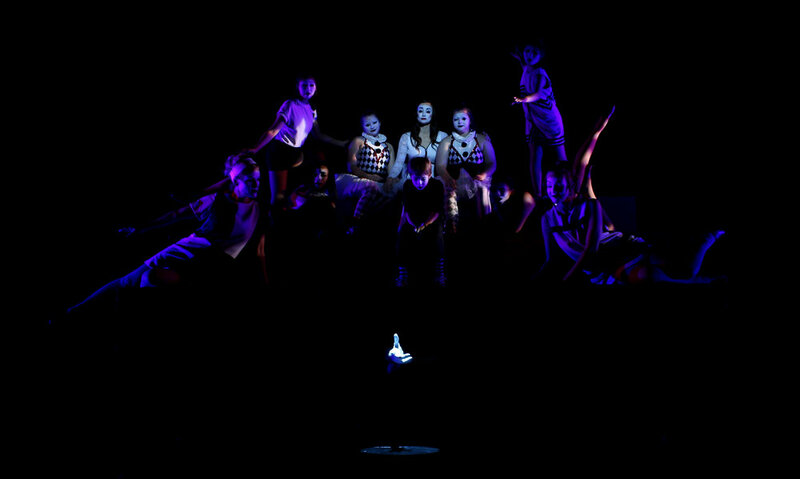 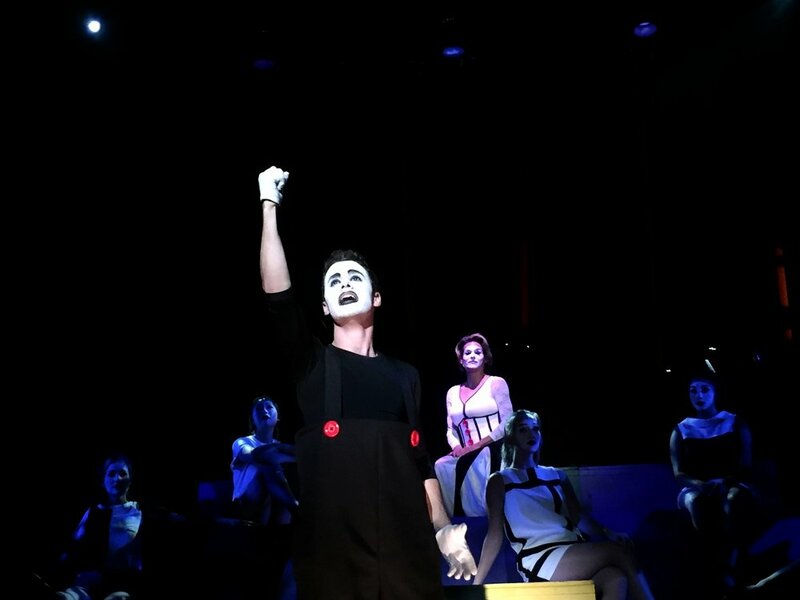 A Cal Rep University Players Production, CSU Long Beach Studio Theatre, October 2016. 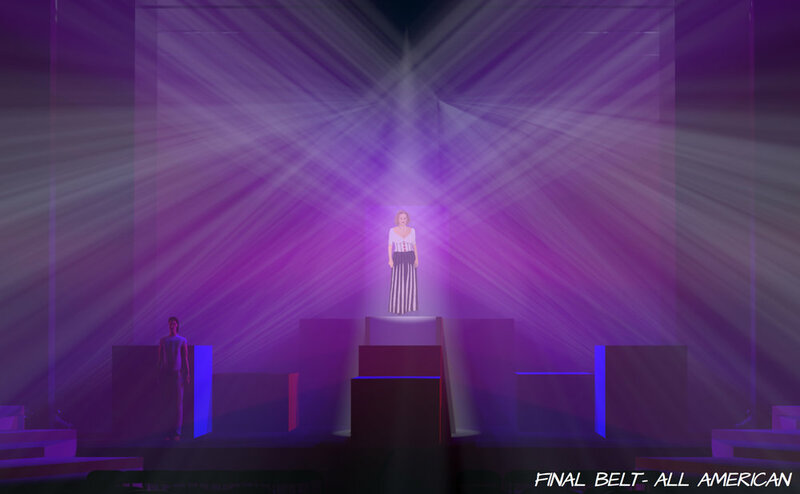 Starring Alexandra Billings as Evie/Anya/Ilse/Ginnie. 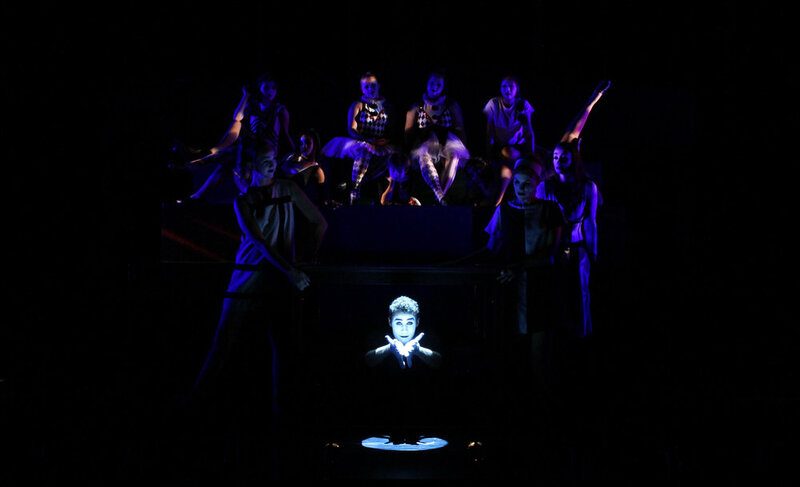 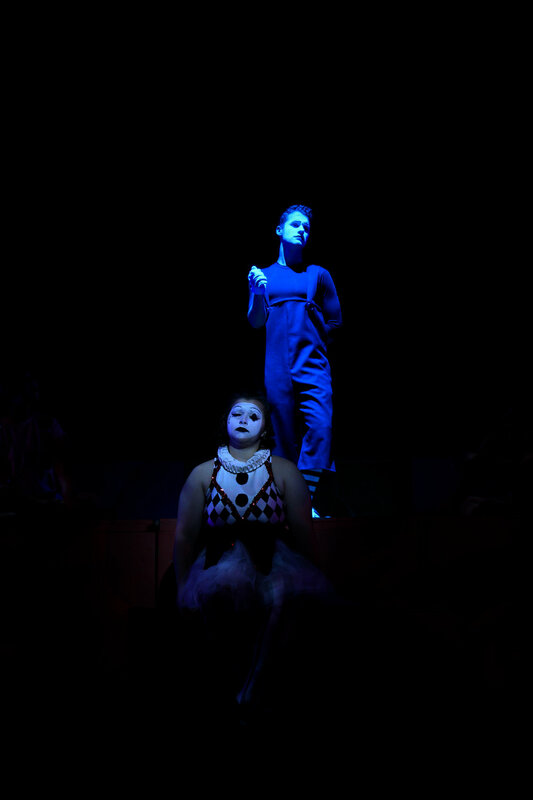 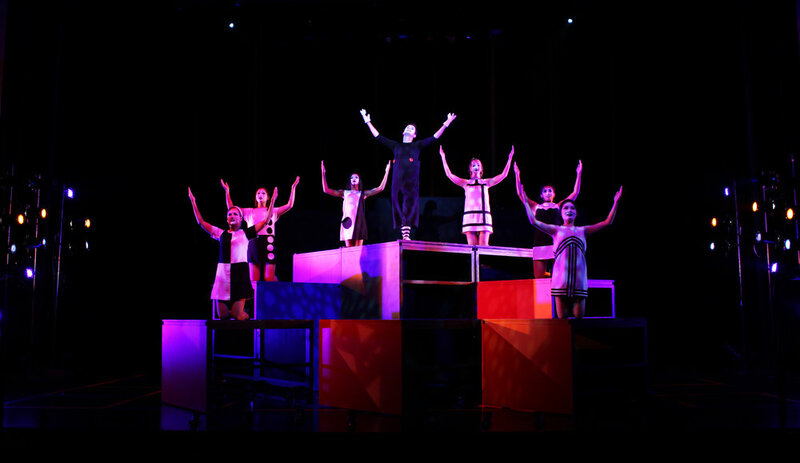 Directed by Dr. Joanne Gordon, Lighting Design by Caitlin Eby, Scenic Design by Danila Korogodsky, Costume Design by Amanda Martin, Sound Design by Kate Fechtig. 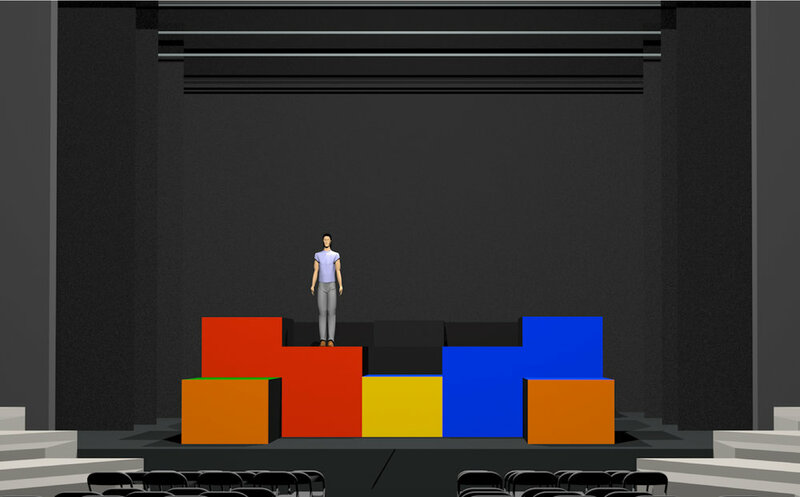 3D storyboards created using Vectorworks 2D/3D drafting and renderworks. 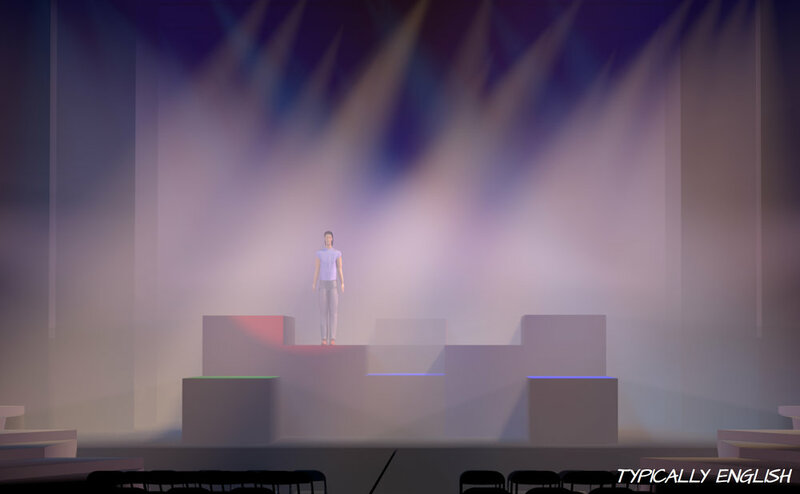 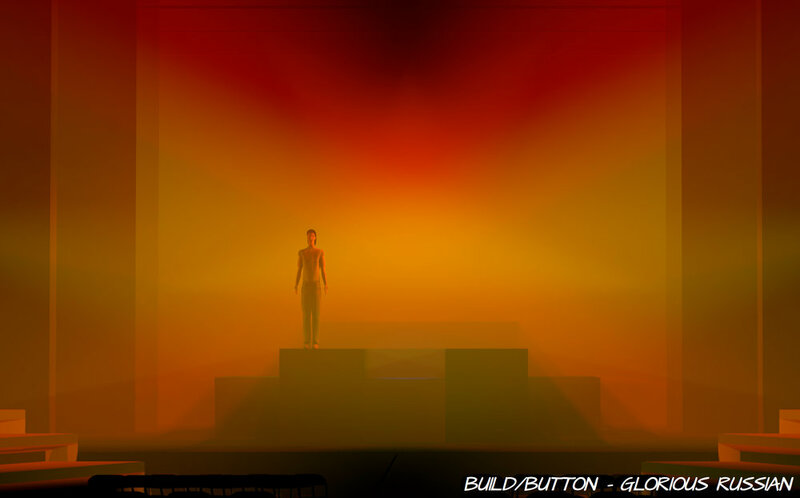 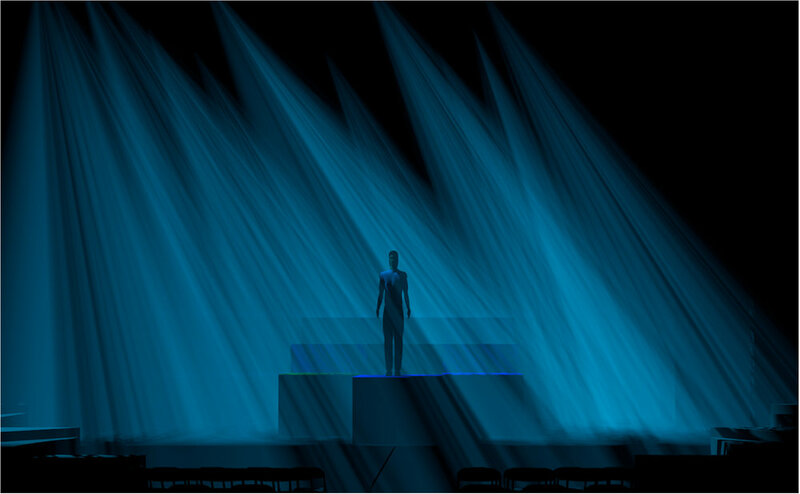 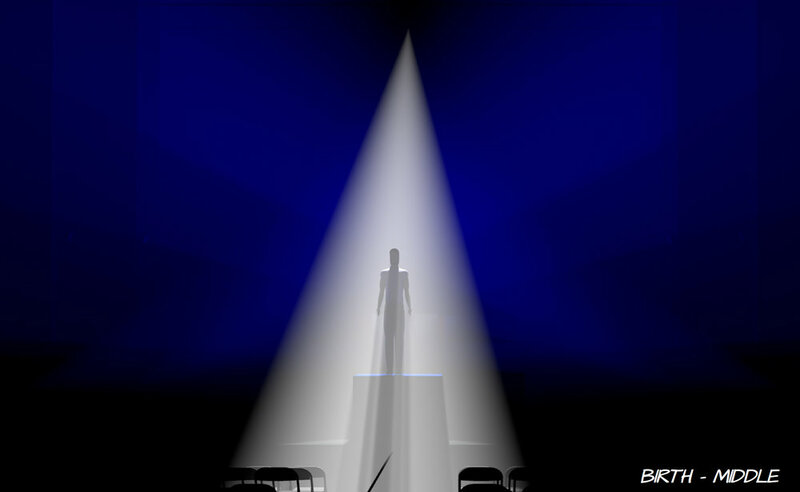 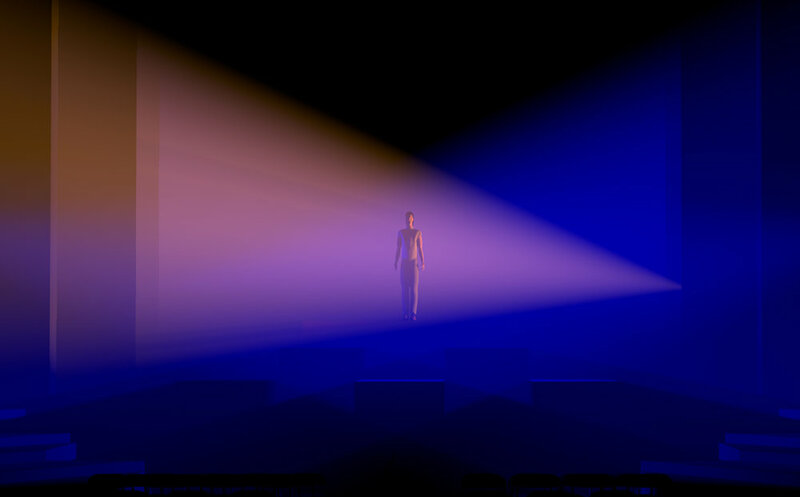 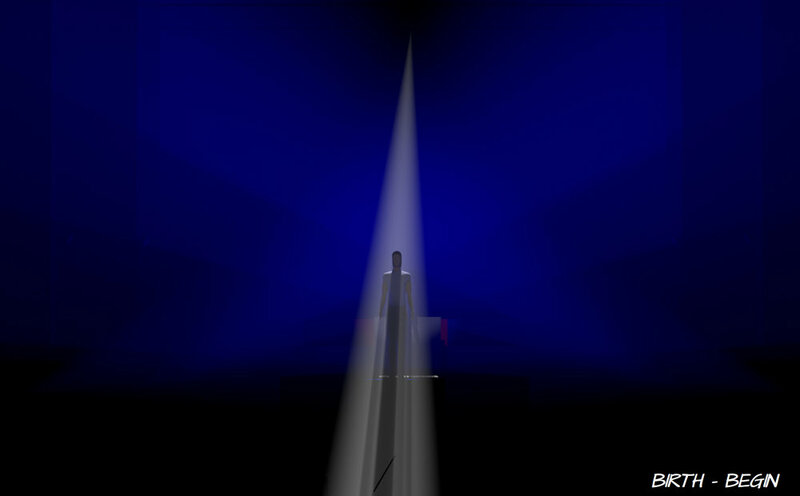 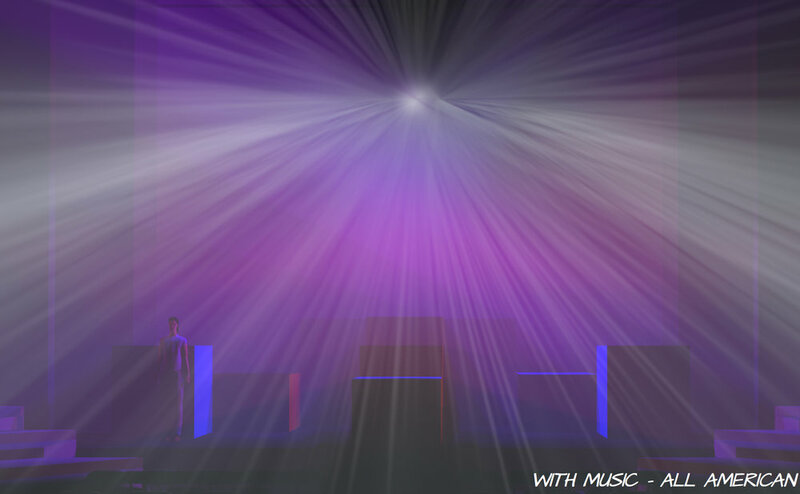 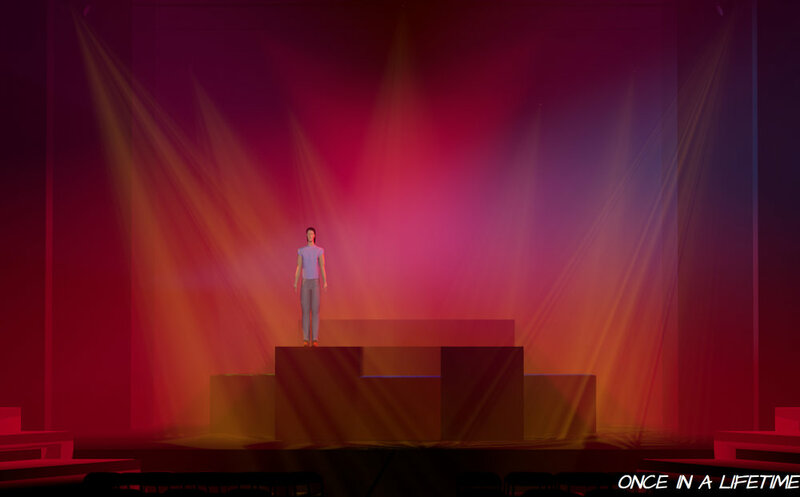 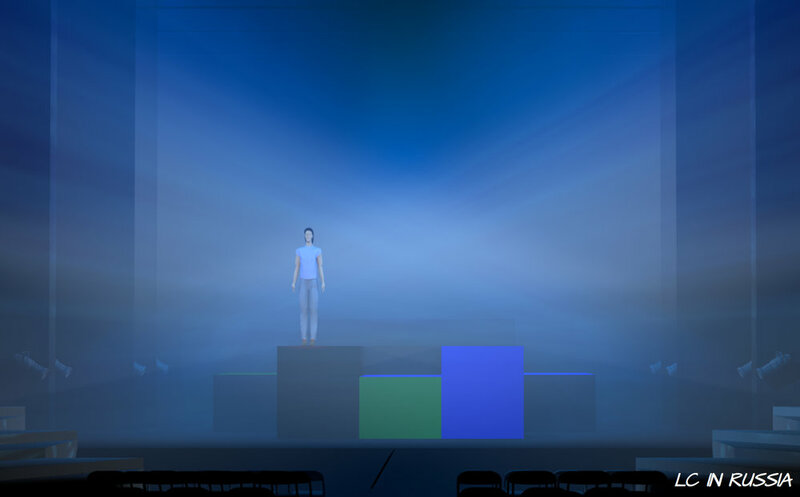 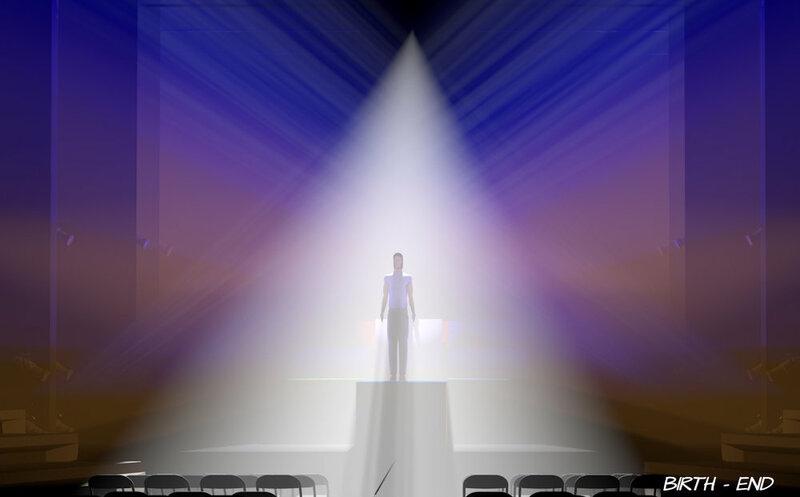 Simple 3D renderings used to show the intent for each song to the director and to plan out which lighting angles would be best in each particular scene for the variable scenic design.